iHome has released a new iPod dock…..for your bike. 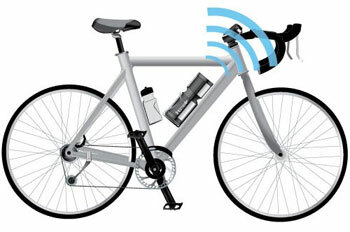 iHome’s Bike-to-Beach Speaker For iPod is a water-resistant iPod speaker case that clamps to your bike frame. A handlebar-mounted remote control allows for safe cycling while listening to your tunes. Yes – it’s a little strange, and we’re not sure that the world needs bikers wielding mobile broadcasting systems, but here’s the specs…..
Any word on one for motorcycles?